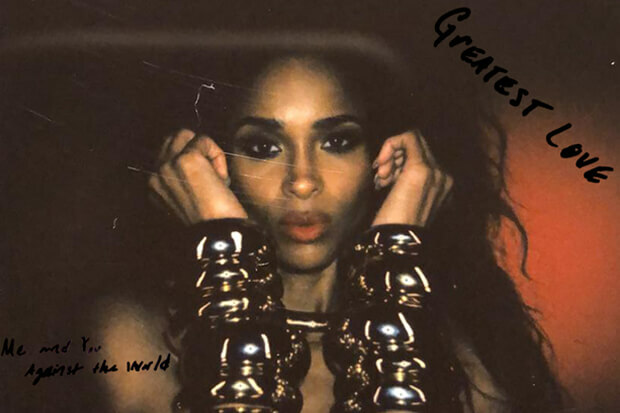 Ciara Gets Romantic On Slinky Slow Jam, "Greatest Love"
The R&B icon is back with a new banger called 'Level Up' and it goes hard. CiCi then lays her cards on the table in the chorus. “You’re the greatest love I ever seen, where you are, I’m gonna be,” she promises. “To top it off, you been there for me. Never change your energy.” Must be nice. “‘Greatest Love’ is an ode to that one person in your life you can’t live without,” the flawless 33-year-old elaborates in a press release. “The person you’d do anything for, and you know they’ll do anything for you. Your ride or die.” The video also dropped today and it’s an absolute feast for the senses. At this rate, Ciara’s 7th LP is shaping up to be the most eclectic and personal on her career. Get in the mood for Valentine’s Day by checking out “Greatest Love” below.